garvey cey russell lopes: 1978 topps hank webb - the card that should have been! 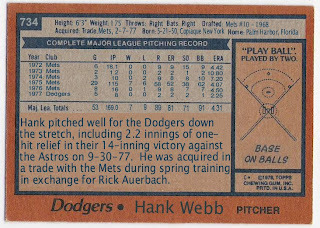 1978 topps hank webb - the card that should have been! 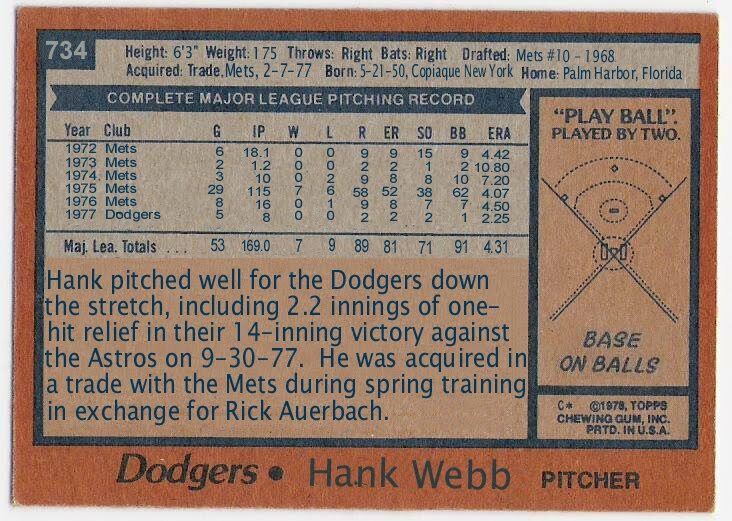 this would also be webb's final tribute, as he did not appear in major league game after 1977. webb was acquired by the dodgers from the mets in february of 1977 for rick auerbach. 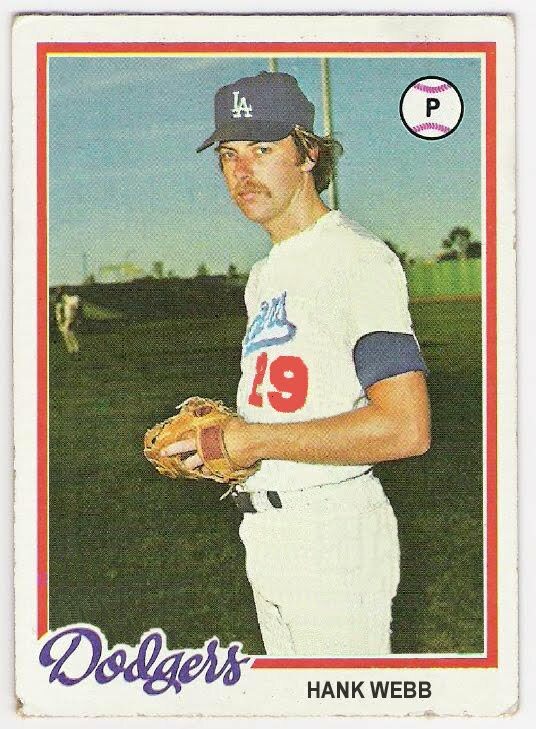 he spent the majority of 1977 in aaa at albuquerque as a starter, and was called up in september. he allowed runs (2) in only 1 of his 5 appearances. 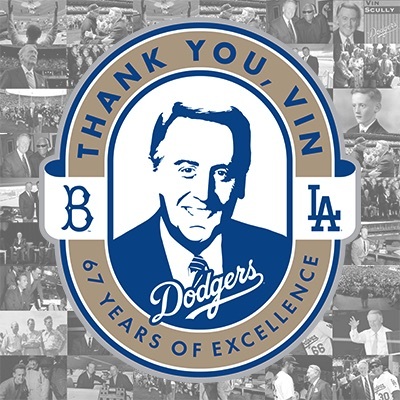 his final appearance was to close out the dodgers' 1977 regular season, as he pitched the final 2 innings of game 162 against the astros at dodger stadium. his last inning was kind of an interesting way to go out - in the top of the 9th, he allowed a double to enos cabell, but then got cesar cedeno to ground out with cabell taking third. bob watson hit into a fielder's choice (cabell out at home) with watson reaching base. joe cannon, the pinch runner, was then caught stealing for the third out. in the bottom of the frame, webb was pinch hit for by jerry grote, and that was the end of his big league career. 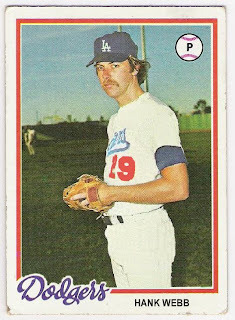 webb was back in albuquerque in 1978, but never got the call to return to the majors. i used webb's 1976 topps card for the image, and photoshopped the logo on the hat and 'bleached' his uniform. 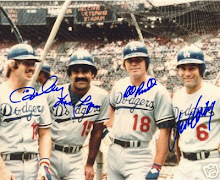 so i was able to lift the dodgers uniform script from that image and paste it on webb. i think it turned out ok, except that webb didn't wear number 29 for the dodgers. oh well, topps would have done the same, i think. here's to you, 1978 topps hank webb card that should have been! I don't know how you do it man. That's great. I wish I could do that for all the guys who never got Orioles cards to add to my O's autograph collection. pat zachry through the mail success! who knows what dodger lurks on the cards of men? hawk to the hall - a (ttm) success story! 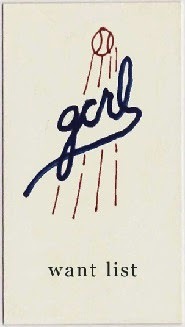 hey baby, it's the 4th of july!